Tournament racquetball is back at HRC! Welcome to the 2019 NC Mountain Racquetball Championships!!! The 2019 NC Mountain Racquetball Championships will be held April 27-28. It’s a nationally sanctioned tournament, but there are divisions from young to old, beginner to pro. All players will receive tournament t-shirts and be well fed! The flyer can be found here. If you are interested in playing, sponsoring or volunteering that weekend, be sure to contact us. We look forward to a great weekend of racquetball, friendships and fun. Sign up today and see you soon! View players that are registered for this event and see which divisions they have entered. Filter List by division to view all players in a specific division. View divisions offered at this event, registration fees, and additional items to purchase when registering online. 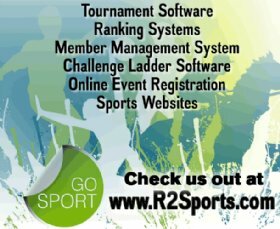 Would you like to play doubles but need to find a partner? Would you like to find someone else drivingwith a vehicle to share a ride? Would you prefer to split the costs of the hotel with another person? There will be racquet stringing service offered at this event. Get on the waiting list to have someone restring your racquet. Show your support by visiting their websites. 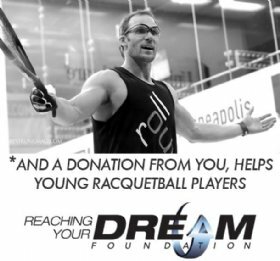 This is an official USA Racquetball Sanctioned Event. Intro To Racquetball Rules & Play Print this 2 sided document off for friends or family watching and cheering players on!